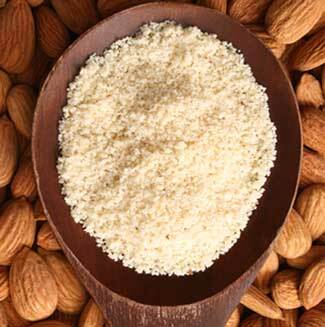 Our delicious Almond Flour is made from finely ground, organic peeled sweet Almonds. It is a perfect alternative for a GLUTEN FREE and LOW GLYCEMIC DIET. Almond flour has a rich nutty and sweet aroma. It adds moistness and taste to baked and raw pastry and confectionery. Unlike other gluten free alternatives to wheat flour, our almond flour is easy to use and superior in taste and nutrition. 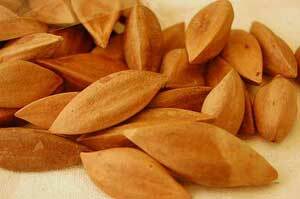 Almonds are high in mono-unsaturated fats which have been associated with reduced risk of heart disease. Almonds are an excellent source of vitamin E, magnesium, calcium, copper and iron. More benefits: clear complexion, improved digestion and a positive effect on the balance of the blood sugar. In a bowl mix all ingredients with your hands and form small balls. The amount of Coconut Oil may vary. In case you added too much sweetener, balance with a TSP of raw cacao powder. Refrigerate. The Pili Nut is an exotic delicious kernel from an evergreen self sustainable tree that is grown on islands where there is tropical or subtropical climate. Raw, the taste may be compared to a combination of Pecan, Pine, Brazil and Walnut. Roasted it has a nutty flavor and crispy texture. Nutritionally, Pili nuts are high in calcium, phosphorus, fats, proteins and Vitamin B’s. Pili Nuts are delicious combined with cacao, coconut milk, and vanilla in fresh smoothies, icecreams, chocolate pastry, and cereal. They can be processed into rich nut milks, creams, pesto & pate’s, added to salads, dressings, rice and pickles. 1 cup Divine Organics Polynesian Pili Nuts – soak overnight in water and remove the brown skin (which is very easy when soaked). Blend all ingredients creamy. If you do not have a high speed blender you might need to strain the milk through a milk cloth. This basic nutmilk is delicious, but you can take it further and add more fruit, raw cacao powder, maca powder, mesquite powder or spirulina. Lucuma (Pouteria obovata, or Lucuma obovata), is a sweet exotic fruit with an orange colored creamy pulp similar to cheesecake. Native to the sub-tropical mountain regions of South America this beautiful tree has been honored by the indigenous people for their nutritious and delicious qualities over many centuries. 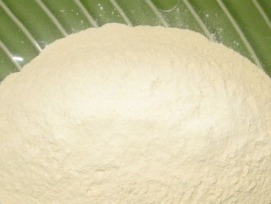 Divine Organics offers a powder derived from organic full ripened Lucuma fruits, with full bodied sweet fragrant taste. It is considered a natural alternative to regular sweeteners in smoothies, puddings, ice cream, pastries, and pies. It can serve as a partial substitute for wheat flour in cakes and pastries. Mix all ingredients with a big spoon or with your hands and shape small balls. Optional add pieces of fresh strawberries. Refrigerate an hour before serving. You may sweeten up the recipe and add soaked dates and cacao nibs and add more almond flour if necessary to form the balls.